When artistic inspiration hits, Deyondre, age 21, said his creativity is influenced by intrinsic intuition then a cognitive choice. Harnessing his naturally inventive mind, Learning Dreams Neighborhood Educators Erin and Jena helped Deyondre turn his personal sketches and doodles into a fully curated, professional art exhibit, which opened in mid–July 2013. Titled “Image” Deyondre’s art exhibit featured 15 black and white as well as colored pencil drawings, which were professionally mounted and hung at Kulture Klub Collaborative’s gallery at YouthLink Minnesota. Hundreds of people attended the opening of the show, which featured both Deyondre’s work and a large, outdoor art installation called “Filling the Void”, which was created by artist Randy Walker and the young people who use services within the Youth Opportunity Center at YouthLink. 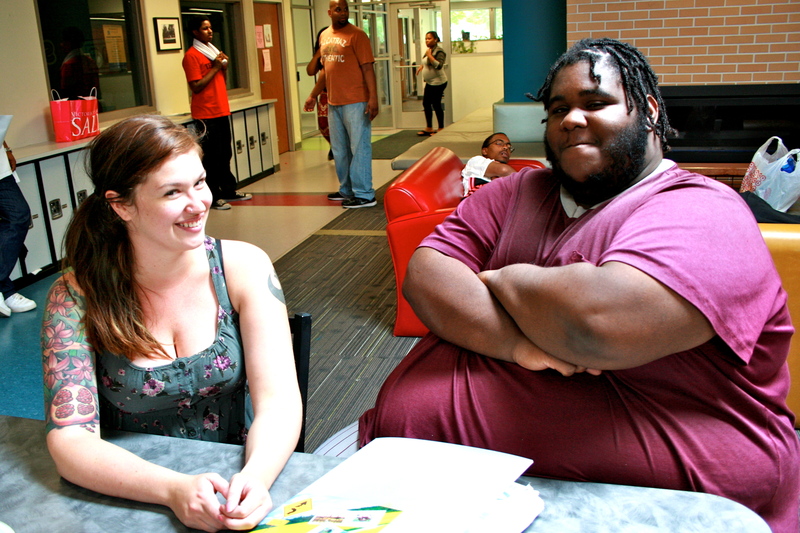 Erin and Jena met Deyondre last year after conducting dream interviews at YouthLink. 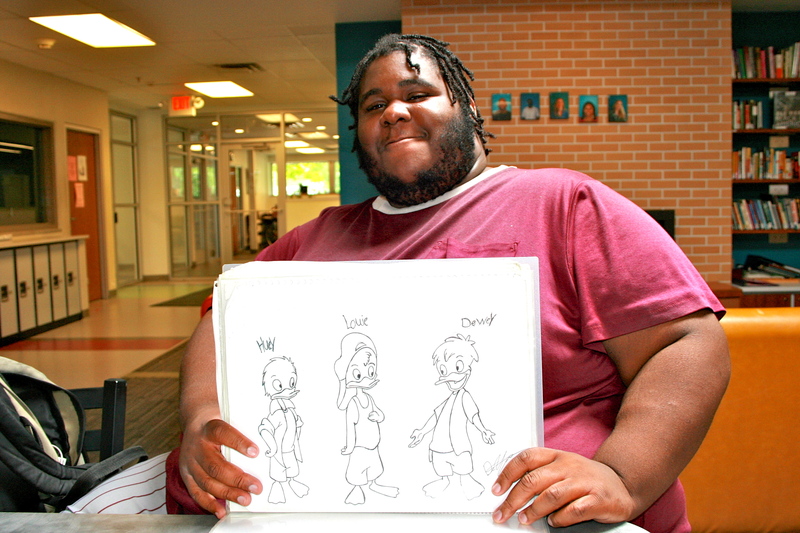 After noticing his love of drawing Asian-inspired cartoons, Erin and Jena introduced Deyondre to local artist Eric Mattheis. Eric became his learning mentor and helped support Deyondre to create a portfolio of drawings, which ultimately led to a complete art exhibit. Deyondre, who is working with YouthLink to combat issues of homelessness, said this was his first public art exhibit. 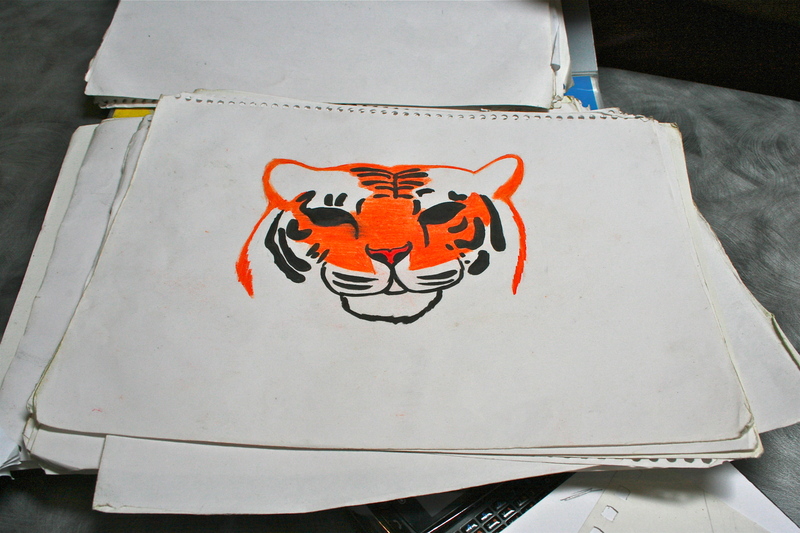 Amazingly, he drew almost all of his showcased artwork in just one or two days. Learning Dreams partnered with YouthLink in early 2012 with the goal of helping local youth identify, seek out and connect with people, places, and activities that provided steps toward exploring and engaging their passions and interests. Since then, Erin and Jena have worked with over 100 young people from the Youth Opportunity Center at YouthLink to help them understand their dreams and help them take concrete steps toward realizing their dreams. As for Deyondre, he said he’s going to continue working with Eric, Jena and Erin, and maybe enroll in music production school next fall. Editor’s note: This is the first in a series of stories highlighting the accomplishments of Learning Dreams participants, partners and staff.